Improve your results in conservative management of medial knee injuries with this free webinar. 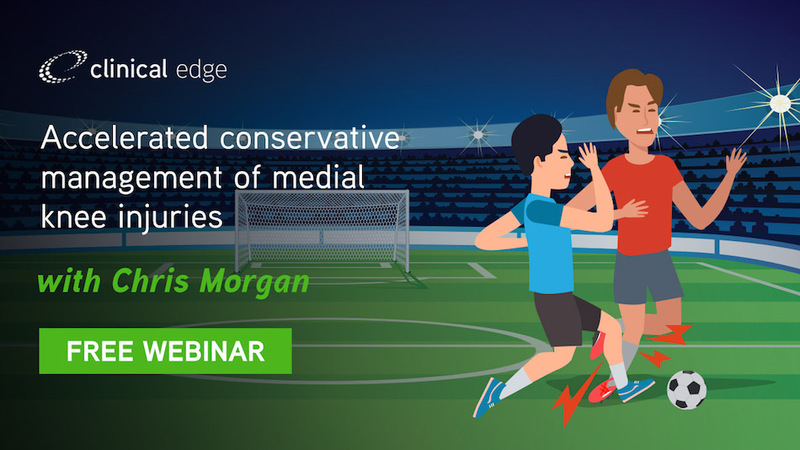 Enrol on this free webinar to improve your conservative management of medial knee injuries. Part 2 of this webinar with Ed Richmond will be available to Clinical Edge members, taking you through the key rehabilitation exercises, progressions and decision making process at the time of return to training (RTT), return to play (RTP) and return to performance.